We are a family run childcare provider offering a safe and friendly atmosphere for your little ones to develop, learn and above all, have fun. We cover the seven areas of the EYFS so they have a sound foundation ready for when they go to school. With over 30 years experience, we are able to cater to each individual child’s needs including those with special educational needs and disability. Our hours of work are open from 7am - 6.30pm Monday to Friday. We cover part time and full time care with a minimum of 3 days per week. We care for children 0 to 11 years. School’s we can cover - Cannon Lane, Reddiford and West Lodge in Pinner. We are looking to expand to other schools so please do get in touch. 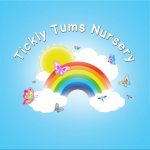 Below are the latest reviews for Tickly Tums. Please note that reviews represent the subjective opinions of other Childcare.co.uk users and not of Childcare.co.uk. Parents must carry out their own checks and references on childcare providers to ensure that they are completely happy before enaging in the use of their services. My son has been going to Tickly Tums for 3 & a half years (since he was 6 months old) and I cannot recommend them highly enough. On the 'business' side; Communication is open, honest and thorough. Freshly cooked food, and happy to cater to any needs. Stimulating activities, both indoor and outdoor play. Support with age milestones (weaning, potty training etc). On the 'personal' side; My son LOVES it there - he even asks if he can go at the weekends! He starts telling us what he has been doing that day as soon as we pick him up. Having no family locally, my husband & I can honestly say that we couldn't have done the past 3.5 years without Tickly Tums. They have been amazing, and are genuinely like a second family to us & our son. I have been looking for a childminder over the last few months for my baby boy. Tickly Tums is by far the nicest setting I’ve visited, lovely toys and extremely clean. So warm and welcoming. I can’t wait for him to start next year. Thank you for making us feel so comfortable, answering all questions and putting our minds at ease. Our daughter started with Keith and Linda over a year ago (since September 2017). I was feeling really anxious about going back to work and leaving my daughter but Keith and Linda’s home from home environment really put me at ease and our daughter quickly settled in. They are super flexible with times and nothing is too much trouble. I can’t recommend them enough whatever your childcare needs. I can honestly say I have nothing to worry about when I go to work as I know she is taken care of lovingly by them and their team. The communication is excellent too, every day they provide us with a clear and detailed summary of all the activities our daughter did. My daughter is very comfortable there and she is always telling me how much fun she had. They have a beautiful and secure outdoor space and loads of toys inside. Thank you for all you’ve done so far! We really appreciate it.